I’m sure Melissa needs no introduction. This iconic global footwear brand from Brazil has been famous for its jelly shoes in various styles and colors. Over the years, the brand has partnered with the biggest and brightest names in art such as fashion designers Vivienne Westwood and Jason Wu, architects Karim Rashid and Zaha Hadid and furniture designers The Campana Brothers among others. 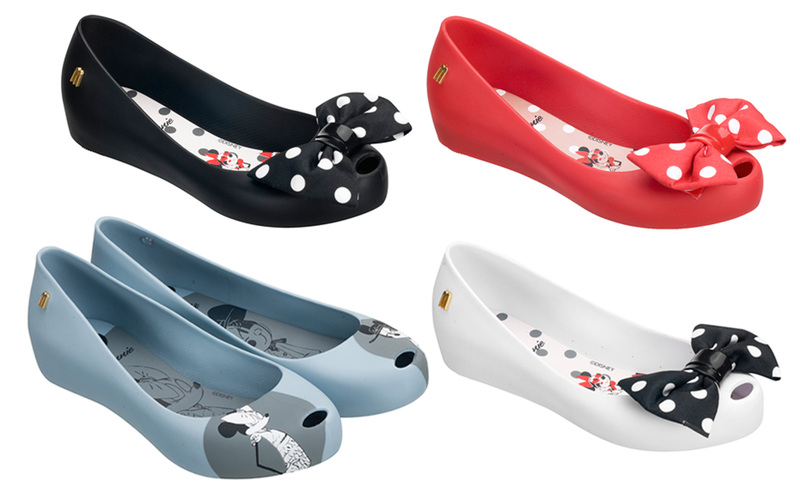 I personally love my Vivienne Westwood flats the most, especially now that the rainy season is here! Anyway, so what’s Melissa giving away this time? One lucky reader will win P2000 worth of gift certificates from Melissa. Annddd… P1000 for his/her friend! Just to get you even more excited, here are some of Melissa’s pieces that are currently in store for you to purchase with the GCs you’ll be winning. Theis crystal pair is my personal favorite! Who needs a glass slipper when you can feel like Cinderella in these! For the girls who just can’t get enough of spiky things, Melissa re-invented these classic designs and dressed them up in spikes for you! Young at heart? Check out Melissa’s collaboration with Disney! Mickey and Minnie are just so loveable and charming! How cute are these? And for the fashionistas out there, Melissa’s got good news for you too! Melissa’s collaboration with the one and only Karl Lagerfeld is coming out this July! So many to choose from! Follow me on Twitter, Bloglovin’ and Instagram. If you don’t have these accounts, it’s easy to make one! Like Melissa Philippines on Facebook and follow them on Instagram (@MelissaPhilippines) and Twitter (@Melissa_PH). Tweet the caption and make it your Facebook status too. This contest is open to Philippine residents only. Deadline for entries is on July 17, 2013 at 11:59PM. I will be choosing the winner via Random.org and announcing it here on the comments section below. Please be reminded to submit one entry only. No multiply entries. Melissa Gift Cards are honored at the following Geleia Branches: Alabang Town Center, Glorietta 5, Robinsons Magnolia, Shangri-la East Wing, SM Aura, SM Mall of Asia, SM Megamall and TriNoma. Congratulations to Janelle Leonor for winning this giveaway! OMG!!!!! Thank you so much, Camille Co and Melissa Philippines! I’m so excited to have a new pair of Melissa shoes!!! I’m excited! Hope id win! I love to have one of this shoes! hope i win. good luck everyone!! make me a winner girl! love yah! Thank you Miss Camille! God bless! i shall win!!! melissa addict! Hi Camille! Can I join this giveaway even if I don’t have an instagram? Wow I really l♥ve Melissa hope to win! Oh my oh my God! I love all these shoes. I want to have them all. Please :( begging…..
Oh my gosh!! Super thank you for this blog giveaway. :) Melissa Shoes!!! ♡ I hope I’m lucky enough to win this!! hope to win dis for the wifey!! oooh i hope we win!!! Naku I am the first one! I hope I get picked out :(….